Mizzou basketball’s Michael Dixon, one of the country’s most explosive guards and arguably college basketball’s most valuable sixth man in 2011-12, was named a part of Sporting News 2013 Pre-Season Second Team All-Americans. Dixon averaged 13.5 points and 3.3 assists in 35 games (all off the bench) and led all players in college basketball without a start in scoring average. 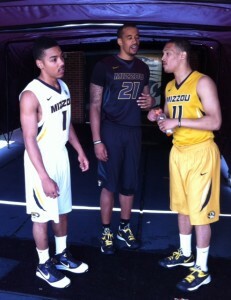 Mizzou Madness will be televised live on ESPN3 on October 12 starting at 7 p.m. at Mizzou Arena. The Tigers begin exhibition play on October 29 against Northwest Missouri State. Sporting News College Basketball awards are decided on by the Sporting News editorial staff in consultation with coaches and scouts around the country.